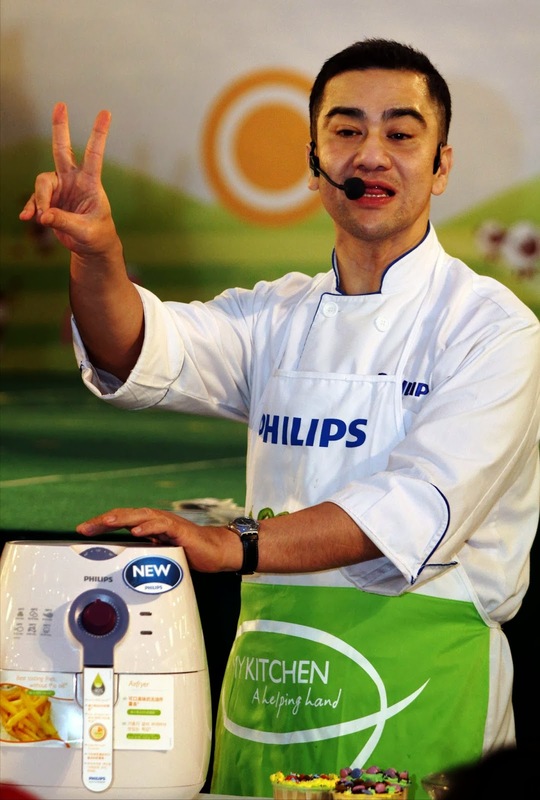 Selepas Datuk Chef Wan mengkritik set nasi lemak yang dihidangkan dalam penerbangan Malaysia Airline System, giliran Prof. Chef Zam pula mengkritik makanan MAS. 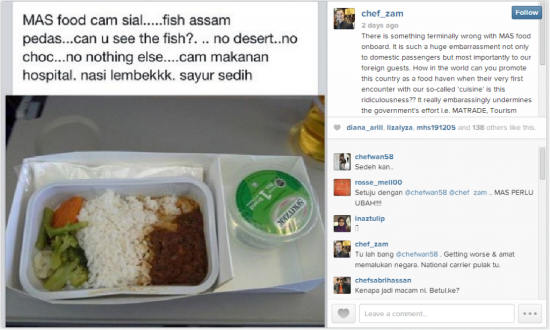 There is something terminally wrong with MAS food onboard. It is such a huge embarrassment not only to domestic passengers but most importantly to our foreign guests. How in the world can you promote this country as a food haven when their very first encounter with our so-called 'cuisine' is this ridiculousness?? It really embarassingly undermines the government's effort i.e. MATRADE, Tourism Malaysia and the likes spending hundreds of millions of tax payers' hard-earned money every year trying to paint a glorious picture of our cuisine to the world. Some people up there MUST go NOW!! Chef Zam hanya memuat naik semula gambar instagram dengan kapsyen yang ditulis oleh orang lain iaitu orang yang dihidangkan makanan tersebut. Chef Zam hanya menulis caption dalam bahasa Inggeris seperti di atas, harap maklum.